This eight-study guide takes you back to Israel under King Solomon. As you see God blessing the king and people with peace, wealth, wisdom and most of all His presence, you'll see a shadow of the King Jesus' future kingdom. And as you see Solomon's ruin, you'll see why it is so exciting to live under a king who rules God's people perfectly. 1 Kings 1-11 : The rise and fall of King Solomon by James Hughes was published by The Good Book Company in November 2011 and is our 23890th best seller. The ISBN for 1 Kings 1-11 : The rise and fall of King Solomon is 9781907377976. 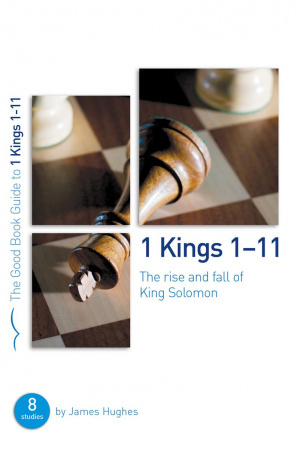 Be the first to review 1 Kings 1-11 : The rise and fall of King Solomon! Got a question? No problem! Just click here to ask us about 1 Kings 1-11 : The rise and fall of King Solomon.